Congratulations are in order for Daniel Craig and Rachel Weisz! 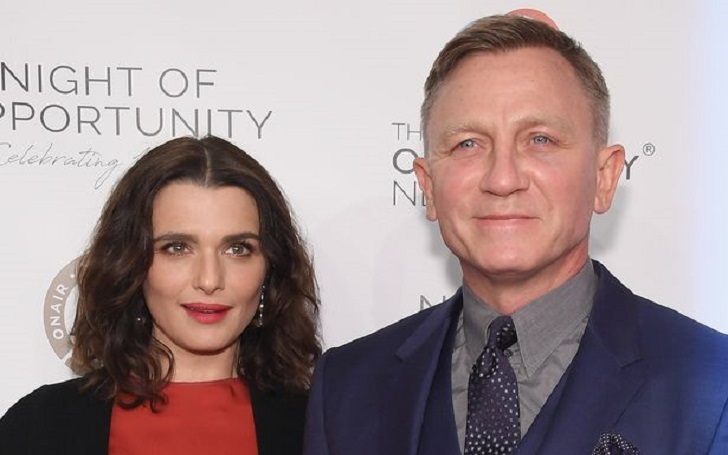 The James Bond actor, 50, and the Disobedience actress, 48, have welcomed their first child, a baby girl together, multiple sources have confirmed. According to the Daily Mail, the Oscar Award-winning actress and her husband told friends they were 'very happy' to welcome their adorable daughter to the family. Though the new bundle of joy has already entered this world, the proud parents are yet to comment or reveal the exciting news. They have been keeping things more private about giving birth of their child since the duo found the actress was pregnant. The ultra-private couple last walked on a red carpet together in April. As previously reported, Rachel, who is known for being rather private, announced that she was expecting her first child together with her husband in April. She told the New York Times, "Daniel and I are so happy. We’re going to have a little human. We can’t wait to meet him or her. It’s all such a mystery." Daniel is also father to an adult daughter Ella Craig, 26, with actress Fiona Loudon while Rachel shares son Henry Aronofsky, 12, with “mother!” director Darren Aronofsky. The Favourite star also shared the family’s excitement while talking to E! News in April. Referring to Henry and Ella, she said at the time, "We are ready. Very excited. They are really excited." In that same month, the also spoke about her newborn’s upbringing on The Late Show with Stephen Colbert. Joking of her baby, she told Stephen Colbert, "I suppose it will have to be bilingual!" Following the pregnancy announcement, Rachel was frequently spotted showing off her growing baby bump. The newly born is their first child together while the couple, who became married in 2011, share each child from their previous relationships.